Working on these 2 of the 4 paintings commissioned by one family! 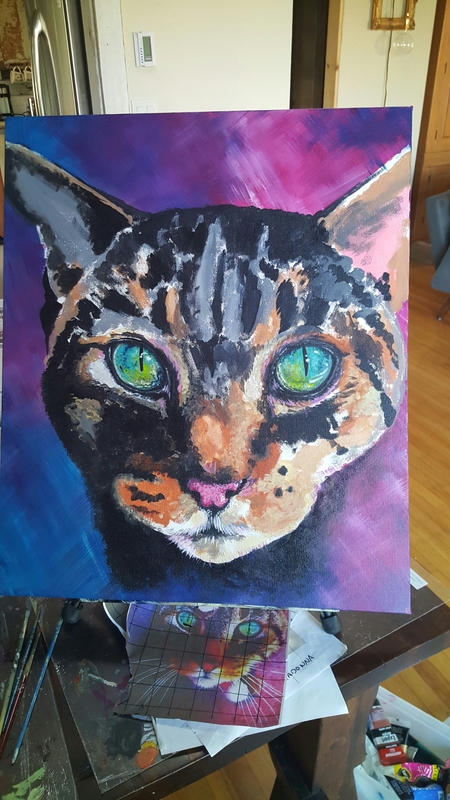 😆 If your interested in a pet portrait, please call me or email me! Busy getting to it with custom paintings! Working away on it and started another portrait of a dog. So 2 in the works and 4 more dogs sketched up and ready to paint! 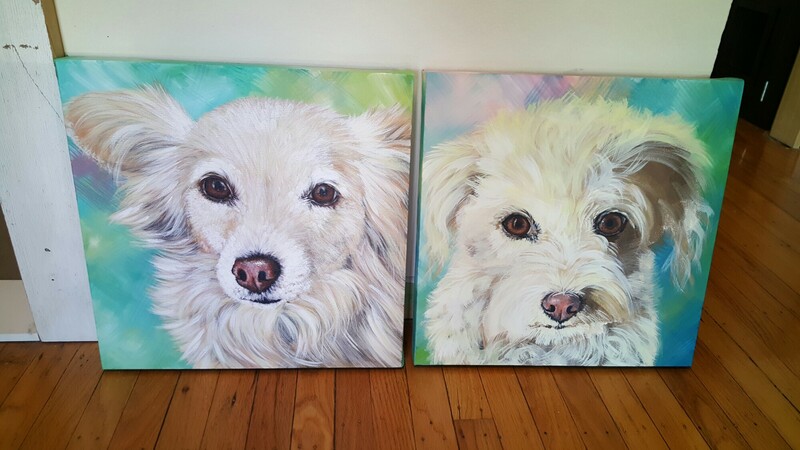 I love creating these special portraits for people of their beloved fur kids!! !